Group Monsta X Shownu has taken on the challenge of a unique eating show "Vlog." 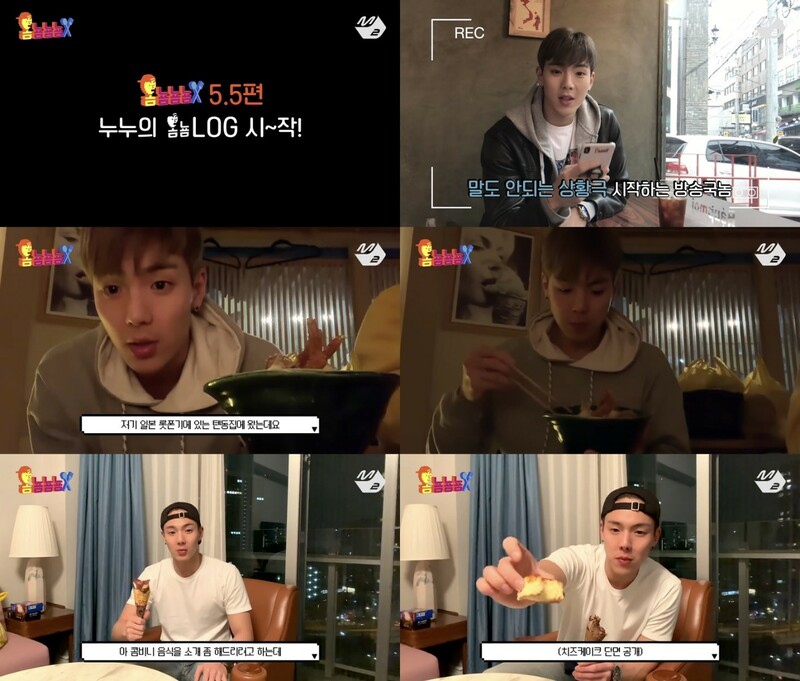 SHOWNU recently re-emerged as a popular YouTuber by unveiling a special eating show through a program by CJ ENM Music Digital Studio M2. After finishing Monsta X's schedule in Japan, Shownu visited Tendong restaurant in Roppongi, Tokyo, to show his global eating show, drawing attention from viewers. In particular, he explained deep frying tendon’s detail in restaurant, proving the appearance of "Professional YouTuber" once again by faithfully fulfilling his role as an eating show YouTuber. Also, Shownu usually showed a wide variety of menus and large-capacity eating shows, made a variety of broadcasts by introducing Japanese convenience store food to viewers who would be disappointed with his short eating show. In addition, Shownu is becoming a jolly and wild looking entertainment star in a variety of entertainment programs, including "Real Man 300," "Law of the Jungle," "Lipstick Prince Season 1 and 2" and MBC's "My Little Television V2" on the air recently. In addition, Monsta X completed their successful domestic career with second full-length album "TAKE.2 WE ARE HERE" and title track "Alligator" last month, and released an English version of "Play It Cool," a collaboration with world-renowned DJ and producer Steve Aoki, appeared a concert in Seoul from April 13-14. The eating show of Shownu will be unveiled every Tuesday night through CJ ENM Music Digital Studio M2 channel.